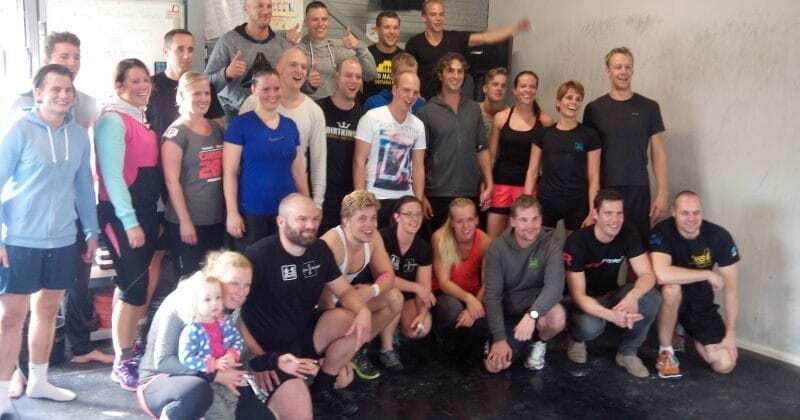 Sierk Rijkeboer, the box-owner of Crossfit Meppel, is giving us a little insight into what happens at his BOX! Enjoy another episode of our Europewide BOX interviews. At a fitness convention by EFAA. There was this lecture and this guy was talking about CrossFit. Afterwards I heard from Charles Verschuren (owner of CrossFit Gymert) he used CrossFit illegally. CrossFit was so nice to pay my ticket for this convention if I send them the information this guy was talking about. So yeah, I really liked Crossfit from that moment on. CrossFit became our (my wife and mine) life, and I knew/felt I had to do this. Like an intervention from above. I am CrossFit and will do everything in my power to improve you. I’m willing to teach a squat 10 million times, and do so with a smile. At our box you will not find ego’s walking around but a community that supports itself. And we’re probably one off the smallest boxes out there (65m2 of trainingspace). We got 132 members, I would say 60% female 40% male, most of our members are between 20 and 40 years old. And we got some competitive athletes, that like to join the Open and the Lowlands Throwdown. Yes we do. We have a closed group on Facebook, which is controlled by our members themselves. I would say that around 80% of our members are Paleo/Caveman eaters. We have 3 technique classes that you have to follow first. Once you finished that you become a level 1, this means you are allowed (only if the coach says so) to use up to 50% of the Rx weight. As a starter, you stay level 1 for the first 2 months no matter what. Focus on technique and posture before speed and time. Every 2 weeks we have the opportunity for our members to do a level test. We have levels 1, 2, 3 and 4. We have our yearly gym championships. And we’re about to organize a Mini Cooper pull/push competition. But hush hush this is still in the making……. Yes we have. But thanks for reminding me to update the list. Everybody is more then welcome to our box. Mail: info@crossfitmeppel.nl or call +31644045508.